Kumu Hula Leihi’ilani Kirkpatrick began her lifelong journey in hula during the 1950s with her ohana. That early introduction proved to be a calling that she has followed with passionate devotion for decades. Since those early days, she has received training from several wonderful hula masters and teachers, and been most impacted by Uncle Joe Kahaulelio, Aunty Puamohala Kaholokula, and Loea Kawaikapuokalani Hewett. 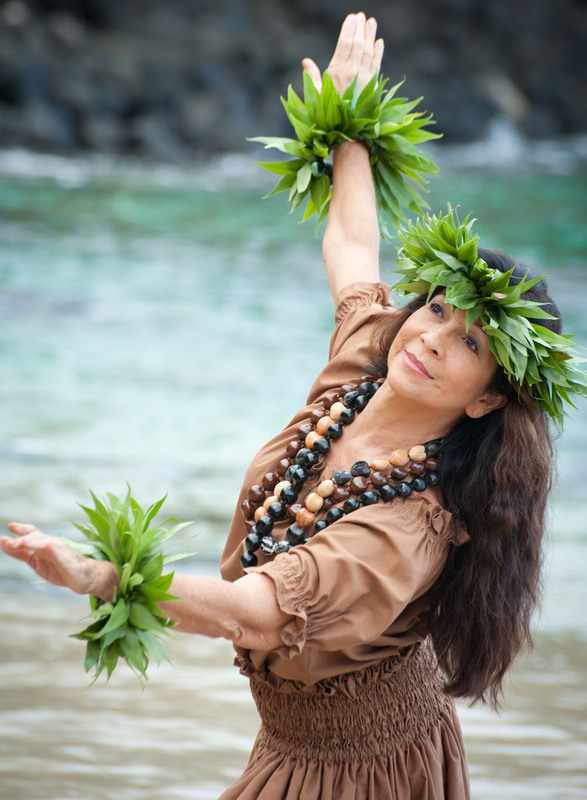 Kumu Lei began dancing professionally as a teenager, and has continued her growth and refinement in hula. Her love of hula and Hawaiian history and culture led her to consider ways in which she could give to the community and contribute to future generations. This culminated in her graduating through traditional ‘ūniki rites with Kawaikapuokalani Hewett. She teaches hula and Hawaiian Studies as part of the Hawaii Educational School Programme. Recent years have seen Kumu Lei leading her hālau (hula school) in dancing for cultural and community events and fundraisers to help various members, groups and purposes of the Hawaiian community. She dances professionally at different venues and her hālau has placed and won in the latest Mokihana hula competition. Along with selected performers from the hālau, Ka Lei Kukui Hi’ilani, she currently entertains at the Courtyard Marriot Hotel on a regular basis. Kumu Lei’s students come from myriad backgrounds and their ages range from four to 70 years. And with hula gaining popularity worldwide, students from Singapore, Japan, Europe and the mainland USA have been and are regularly coming to study with her on Kaua’i. She also teaches Hawaiian Studies as part of the Hawaii Educational School Programme in various schools on Kaua’i.